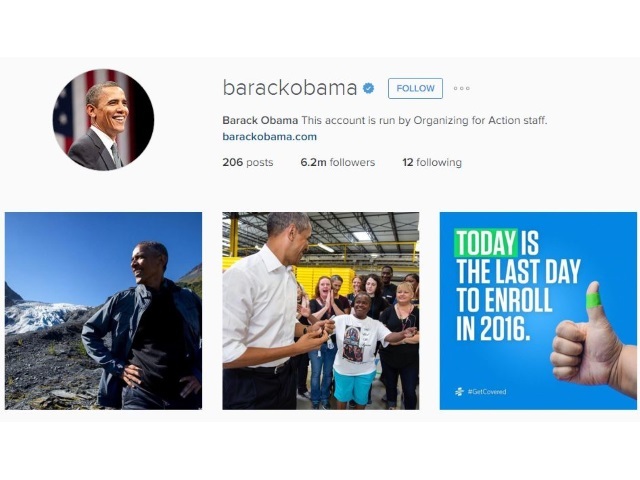 U.S. President Barack Obama has this whole Instagram thing down, according to a new study from public-relations and communications giant Burson-Marsteller. Burson-Marsteller analyzed the presence of governments on Instagram, finding that more than 70 percent of countries’ governments across the globe have official presences on the Facebook-owned photo- and video-sharing network, but about one-third of the 305 accounts it discovered were dormant or inactive. A total of 136 of the 193 member states in the United Nations maintain official Instagram accounts, according to Burson-Marsteller, which found that Obama was both the most popular and most effective world leader on the social network. This is the first ever study to examine how political leaders around the world are using Instagram as a communications tool to reach the public. While Instagram is a newer medium for world leaders compared to Facebook or Twitter, its emphasis on visual communications makes it a powerful channel for connecting with citizens. Corporations, NGOs (national government organizations) and other sectors can learn a great deal from the ways governments are using Instagram to build stronger relationships. This study illustrates that governments are ready to communicate across all of the key social media platforms. Each platform has its individual unique selling proposition, but it’s clear from our study that Instagram can open up new channels, as well as reinforce information conveyed through other networks in a more visual and appealing way. Creativity and the use of image is critical for communicating with impact today, and clearly, world leaders know this. Readers: What did you think of the findings by Burson-Marsteller?